Fig Tree Books LLC, 9781941493083, 385pp. Set in post-Giuliani New York City, The Sea Beach Line melds mid-20th- century pulp fiction and traditional Jewish folklore as it updates the classic story of a young man trying to find his place in the world. After being expelled from Oberlin for hallucinogenic drug use, Izzy Edel seeks out his estranged father--a Polish Jew turned Israeli soldier turned New York street vendor named Alojzy who is reported to be missing, possibly dead. To learn about Alojzy's life and discover the truth behind his disappearance, Izzy takes over his father's outdoor bookselling business and meets the hustlers, gangsters, and members of a religious sect who peopled his father's world. He also falls in love. As Izzy soon discovers, appearances can deceive; no one, not even his own father, is quite whom he seems to be. Vowing to prove himself equal to Alojzy's legacy of fearlessness, Izzy plunges forward on a criminal enterprise that will bring him answers--at great personal cost. 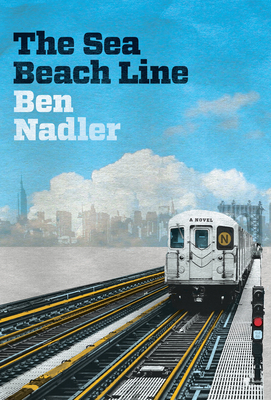 Fans of Jonathan Lethem's Motherless Brooklyn, Nathan Englander's For the Relief of Unbearable Urges, and Michael Chabon's The Yiddish Policemen's Union will relish to Ben Nadler's combined mystery, love story, and homage to text and custom. Ben Nadler is the author of the novel Harvitz, As to War (Iron Diesel Press) and several chapbooks, including Punk in NYC's Lower East Side, 1981-1991 (Microcosm Publishing) and The Men Who Work Under the Ground (Keep This Bag Away From Children Press). A poetry and comic collaboration chapbook is forthcoming with the visual artist Alyssa Berg. Nadler earned a BA from Eugene Lang College of the New School and an MFA from the City College of New York/CUNY. He has taught at City College, Eugene Lang College, and The College of New Rochelle-School of New Resources in the South Bronx. A former Manhattan street vendor, he has also worked in bookstores across New York, Chicago, and the San Francisco Bay Area. He lives in Brooklyn.